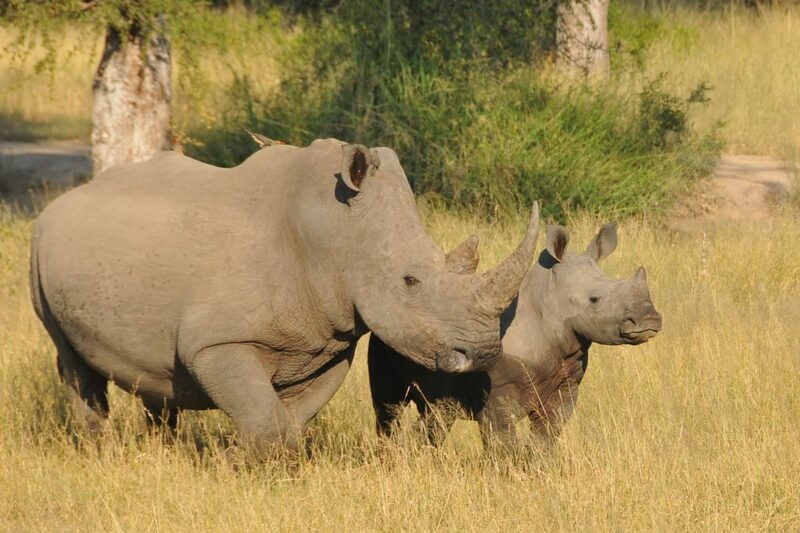 Africa offers the best family holidays – you just can’t beat a bit of safari and beach. Enjoy close encounters with wildlife, nights around the camp fire, sleeping under canvas in the African bush, animal tracking, conservation visits and a whole host of activities from horse riding, boating, night drives, walking and whale watching to snorkelling and beach combing. There’s very little time change to deal with – from the UK you’re looking at 1-3 hours time change so you can hit the ground running and not return to the UK 2 weeks later feeling totally spangled. 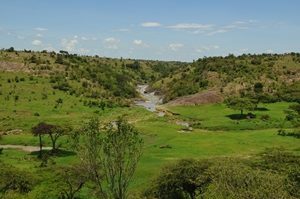 Easy access – Kenya, for instance, is only 8 hours away on a direct flight from London. Stimulation – fresh air and lots of new exciting experiences ensures no one nods off on this holiday. Value for money – a safari is likely to be the most expensive holiday you’re ever likely to enjoy. However, it’s worth pointing out that most safaris are all-inclusive so you’re looking at a ‘holiday spend’, which you can budget for, rather than a holiday framework. 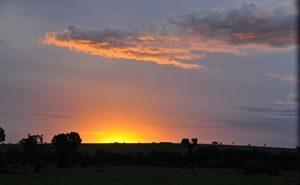 East Africa – Kenya would be my top pick for a family safari. It’s easy to get to and relatively compact to explore when you arrive. There’s amazing density and diversity of wildlife, contrasting landscapes, good family friendly accommodation options and the people are wonderful. Southern Africa – South Africa is a brilliant family holiday destination and one of the best value destinations in Africa because of the exchange rate with the Rand (currently about 18 to the Pound). You can see the Marine Big Five as well as the Safari Big Five. Many families ask us about malaria free safari options – the Cape coast of South Africa is the perfect option with the Eastern Cape game reserves all malaria free. 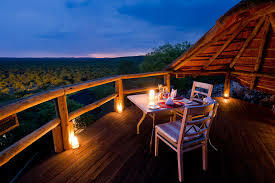 Madikwe near Johannesburg is also a ‘Big Five’ option and malaria free. These areas combine well with exploration of the Cape (Cape Town, Winelands, Garden Route) or with a beach break in Mauritius. 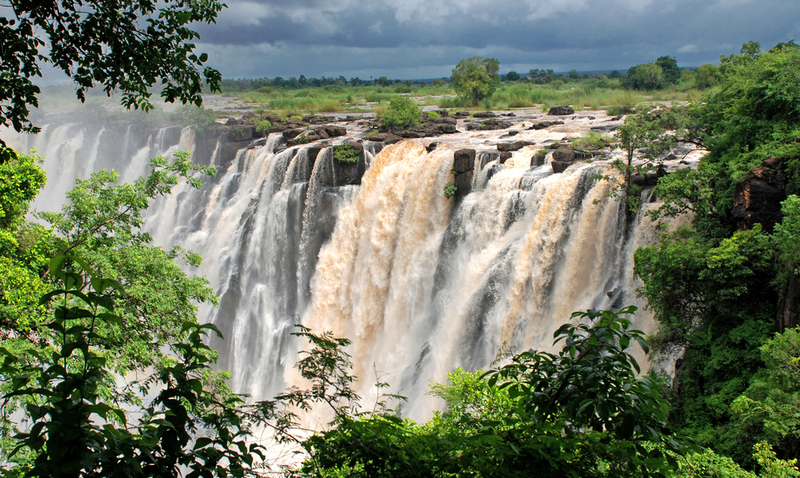 If you have older children and are looking for more adventurous options then Botswana, Zambia and Zimbabwe are all wonderful. See out Family page for further info. How long should we safari? 3 nights is an ideal length of stay in any one camp/lodge, up to around 5 nights – you can do 2 nights but this tends to feel a bit short in our experience. Combining two contrasting areas and staying 3-4 nights in each would be ideal. After this most people are ready for a lie in. Extend your holiday with time at the coast or lake shore. 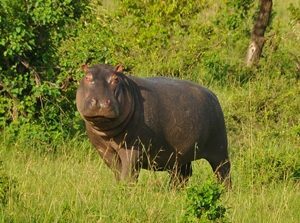 In Tanzania the Northern Circuit lends itself to exploration with private 4×4 and driver/guide – this is a very flexible and economical way to travel for a family but you just need to consider time in the vehicle overall – you are driving between destinations and also then in the vehicle for your safari. In addition you will be visiting national parks which means staying to the main tracks and not going off-road. Drive in safaris are also possible in Kenya. 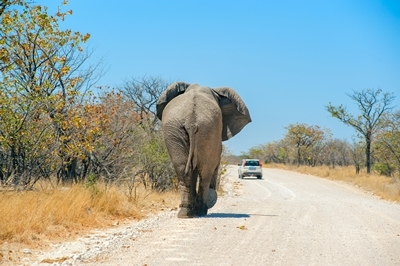 In South Africa and Namibia you can self-drive, however when on safari you have the option to park your hire car and join guided drives offering an ideal balance. You can combine flying and driving for a more balanced itinerary. We will often give clients the option to drive in one direction and then fly back to save time/long journeys. Most trips require an overnight in Nairobi at the start or end because of international flight schedules – don’t waste this time in an airport hotel but get out and explore. 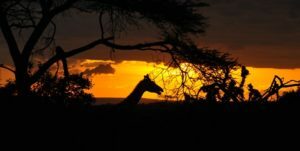 You can stay at a lodge in the national park and enjoy game viewing (very easy to access from either airport) or visit the Sheldrick Trust and/or AFEW Giraffe Centre. We can organise all this for you. 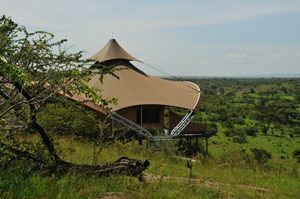 3 nights per camp is the minimum time we would suggest on safari. If budget and time allows it’s fantastic to combine two (or even three) contrasting areas. After around a week on safari, unless you are a real safari addict, you may start to long for a lie in so we think 6 or 7 nights is optimum. 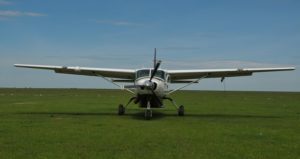 If it’s your first trip to Kenya we’d recommend including the Masai Mara, for example a 5 night fly-in to the Mara with time on the beach afterwards keeps things simple. Conveniently there’s a flight from the Mara to Diani (without going back to Nairobi). A few days on the coast is a perfect extension to a safari. Kenya offers several options. We love Diani and Msambweni, south of Mombasa. We also like Watamu. Lamu on the north coast is also very beautiful. Optimum time for Kenya is the school summer holidays of July/August, the Christmas and half term holidays (Oct, Dec, Feb) and if Easter is early you can get a trip in during late March/early April but the long rains tend to arrive in April and last through May. 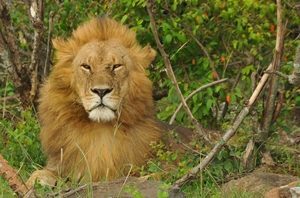 Kruger & beach – time on safari + a week in Mauritius (this combination requires 1 night at a Johannesburg airport hotel due to schedules). Alternatively you can fly or take a road transfer across the border to Mozambique for time on the beach. Optimum time for this is May to October. Family Caper – 10-14 day self-drive trip exploring Cape Town, winelands, the Garden Route and a safari in the Eastern Cape. Optimum time for this is October to April/May. 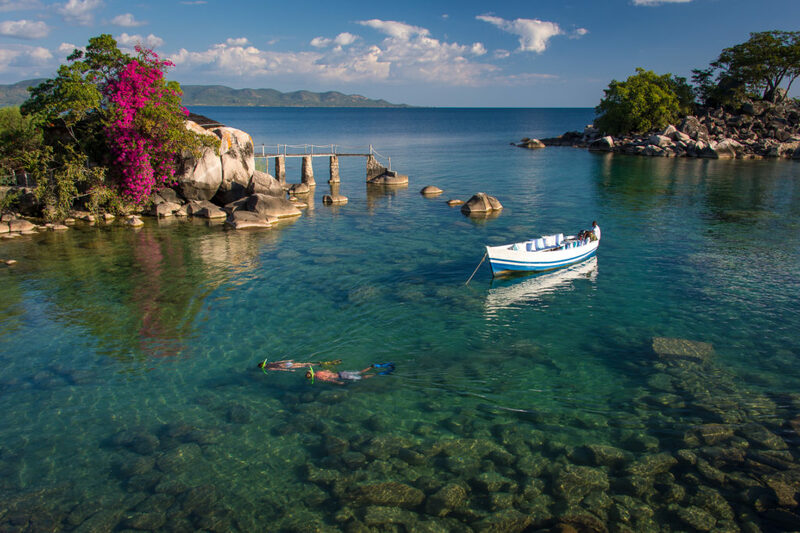 There are plenty of other exciting family holiday options in Southern Africa – how about Zambia and Malawi, or Zimbabwe and Botswana? 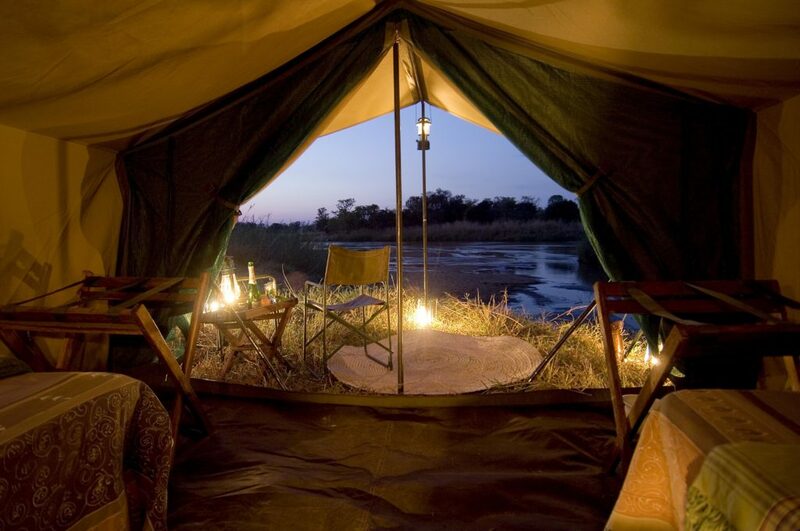 Rooms – family units – it can be a bit intimidating if it’s your first time staying in a safari tent so where possible we recommend family units so that all the family can be together. If you hear a lion roar in the night it’s good to be on hand and share the experience. 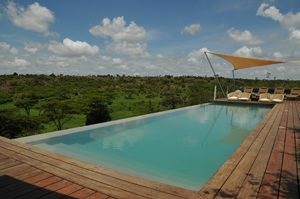 Camps with swimming pools are great for families, inviting relaxing time after breakfast or before the afternoon drive. Depending on season you may prefer properties with air con. Some camps offer special ‘Little Warrior’ or kids’ programmes as well as kids meals and even babysitting so please do enquire. 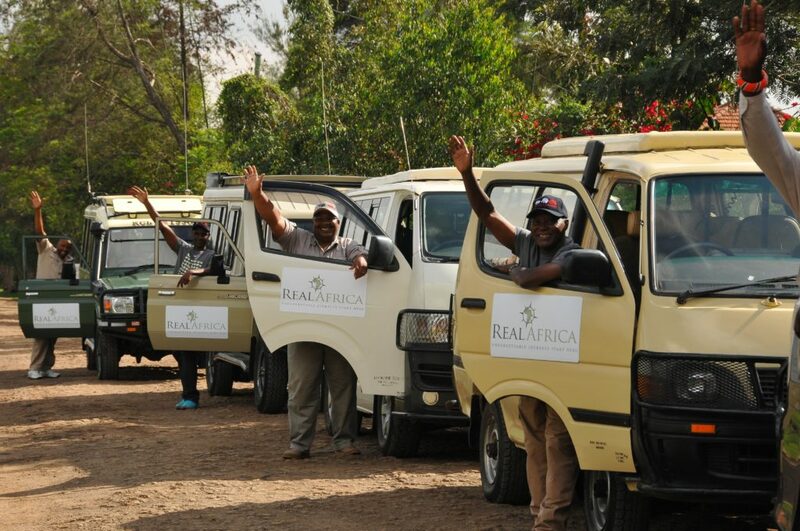 Vehicles – it is usual for you to share game drives with other guests in the camp vehicles. Some camps offer exclusive vehicles for a supplement – please enquire. Some camps insist that families with young children (under 7) book an exclusive vehicle. Age restrictions – many camps/lodges have a minimum age of 7 years so please check with us if you are travelling with younger children. We do have some camps that have discreetly fenced boundaries which might be safer for families with young children rather than those which are completely open. 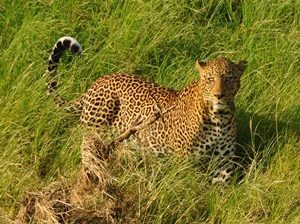 Cost depends on many factors from time of year you travel, how far in advance you book, availability, number of people in your family, to your preferred style of safari and length of stay. £3000-£5000 per person is a realistic budget bracket. From the towering sand dunes at Sossusvlei to the wild expanses of Etosha National Park, the best way to experience all the drama of Namibia’s rugged landscape is by getting behind the wheel, on a self-drive tour. 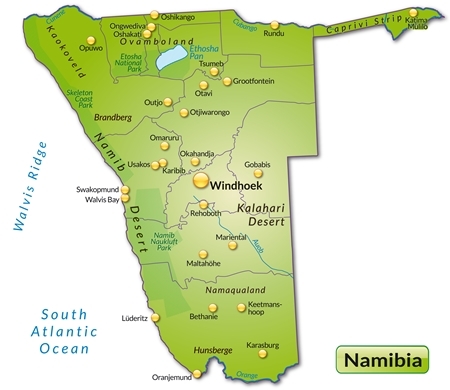 Namibia is a long thin country hinged to South Africa in the South and Botswana in the East. 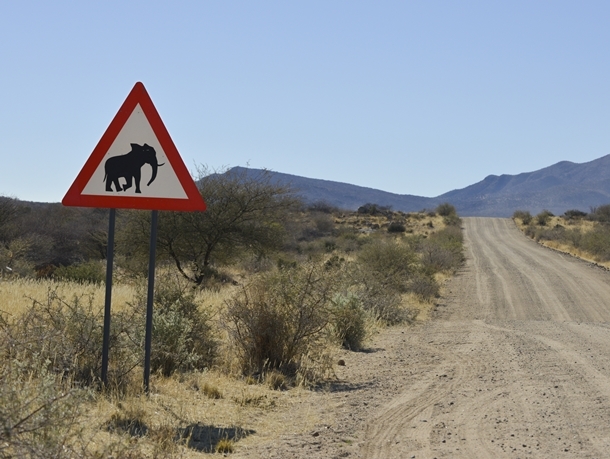 On a self-drive tour you can enjoy largely empty roads (apart from perhaps the odd elephant…) and spectacular scenery ranging from the Kalahari, one of the world’s oldest deserts to the shimmering panorama of Fish River Canyon. The simple network of roads is well maintained and easy to navigate. Main highways are tar with a speed limit of 120mph and services are efficient. You drive on the left, signposts are in English and passengers are expected to wear front and rear seatbelts, just as in the UK. With a population of only a couple of million, traffic is light. All self-drive tours are super flexible so you can stop as you please. All sounds very straightforward doesn’t it? Then add the thrill factor – tarred main roads give way to gravel tracks, viewpoints along steep mountain passes and windswept shores tempt you out of your vehicle. You might not see another car for miles leaving you and your travel companions to really relish the unspoilt African wilderness. The key to a successful and stress-free self-drive is in the planning. Namibia is a big country and the danger is to try and do too much in one trip. 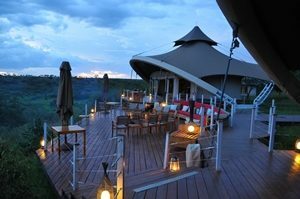 You need to allow sufficient time to relax and really enjoy the scenery, the wildlife and the beautiful lodges and camps. Using expert knowledge and our experience, we can put together a tailor-made itinerary which balances all these aspects to perfection and takes into account your budget. Although you may be on a self-drive tour you don’t want to spend all your time behind the wheel – at Etosha National Park, you can stay in the lap of luxury at Ongava Lodge where you can abandon your wheels and enjoy guided game drives in the National Park with an experienced ranger. 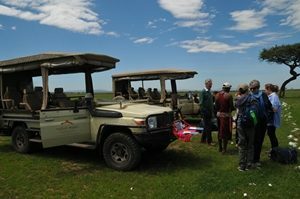 Our self-drive tours come with a 4×4 vehicle, equipped with cell phone and cool box (essential!) a detailed route map and 24 hour support. Since many of the roads are straight and empty the majority of driving isn’t too challenging. The car is delivered to your guest house for you. Many of the roads can be driven safely with a saloon car but in order to ensure maximum comfort (and a real African sense of adventure) we recommend a 4×4. Namibia is a great prospect for adventurous families. However it is not the best choice for families with young children because the distances can be quite great (4-5 hours average on driving days). Children over around eight/nine years old, and certainly teenagers, will find Namibia more enthralling. There’s a very low malarial risk and a great variety of activities to enjoy as a family, from game drives in Etosha to sand dune surfing. You can visit community and conservation projects, for instance the Cheetah Conservation Fund Education Centre, getting close to the cats while the wild coast has seals and shipwrecks galore. You can cruise to see dolphins and whales from Walvis Bay, or see ancient rock art or a petrified forest. Older children cope better on longer drives – they can plug in an ipod and enjoy taking pictures and video too, or keeping a diary of their travels. There is some fantastic family friendly accommodation in Namibia including self catering options and bed and breakfast style lodges. Many of the lodges have pools perfect for afternoon down-time and large gardens or grounds to run around in. 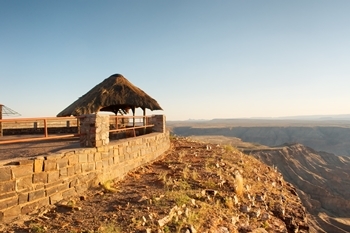 One of Africa’s most famous parks and Namibia’s first conservation area. Plentiful waterholes within Etosha means that as the dry season progresses you can see exceptional game by simply staking out a waterhole. 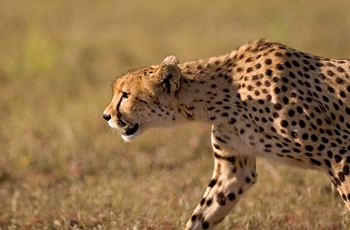 All the big game converges including elephants, rhino, buffalo along with the big cats. Etsoha is well sign posted and has good roads if you do want to self-drive. 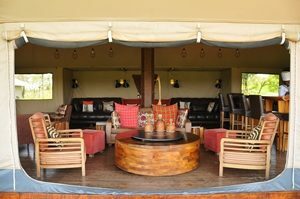 However in order to get the best experience we recommend staying in one of the upmarket lodges and going on game drives with a guide. 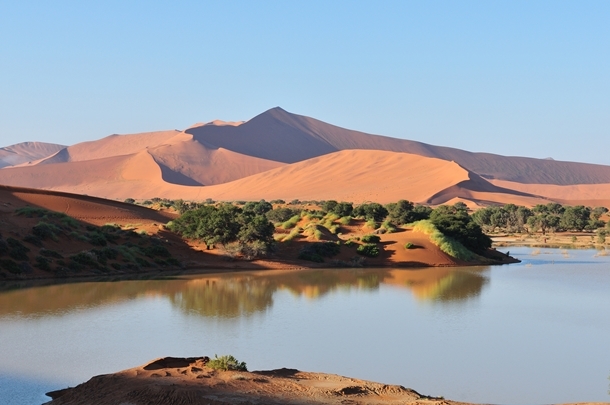 Deep in the Namib-Naukluft National Park the soaring dunes of Sossusvlei are a must-see. Located on the Tsauchab River the dunes are among the tallest on earth and have formed spectacular classic desert formations over millons of years. A visit to the dunes at sunrise or sunset combines well with a stop at Sesriem Canyon where cool pools of water refresh weary travellers. Offering a complete contrast to the sand dunes of the Namib Desert, the vegetated dunes of the Kalahari support a fascinating diversity of wildlife. 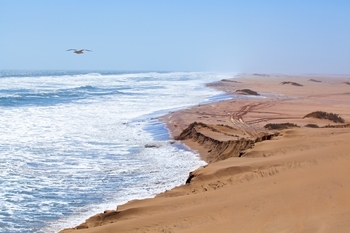 The remote north west corner of Namibia known as Kaokoveld and home to the Himba people offers windswept beaches strewn with shipwrecks and seals. 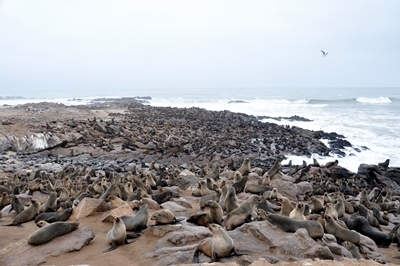 You can get a taste of the Skeleton coast by driving north from Swakopmund to the large Cape Fur Seal colony at Cape Cross before turning towards Damaraland. Namibia’s adventure capital and the springboard for many trips and excursions, this seaside resort is beautifully manicured and has a lovely relaxed atmosphere. Adrenalin charged activities include parachuting, quad biking and dune surfing. Neighbouring Walvis Bay is the best place to take a boat trip to see seals and dolphins in the lagoon. Southern Right Whales are in season in October and November, and occasionally humpbacks. You can also hire kayaks and paddle out towards to Pelican Point and Bird Island. 4×4 vehicles can also drive around the lagoon. 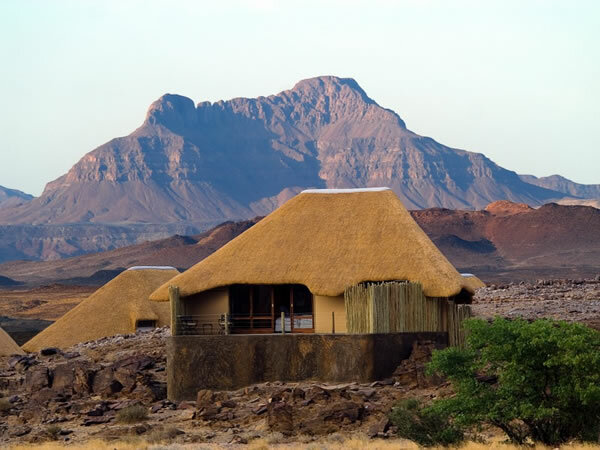 This beautiful landscape is home to the famous desert adapted elephants, incredible red rock formations at Spitzkoppe and ancient Bushman art, the most famous examples of which can be viewed at Brandberg Massif. Fish River Canyon is an impressive sight – measuring 27 km wide and 550m deep it is officially the world’s second largest canyon. You can hike in the canyon during the cooler months (May to September) but most people content themselves with marvelling at this natural spectacle from the various viewpoints and spending a night on the edge! This dramatic sandstone plateau with fresh water springs and woodlands is a hikers paradise. There is a good density of wildlife including eland, sable, roan, buffalo and rhino (black and white). 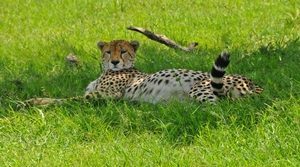 You can also visit the Cheetah Conservation Fund Education Centre where you can see resident cheetahs, learn about the programme and see feeding. 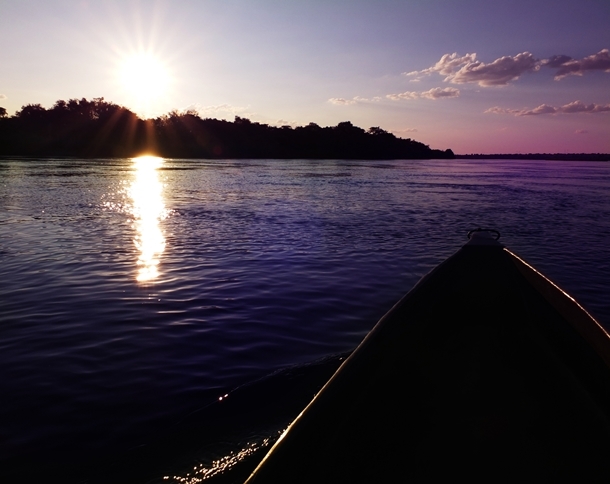 In the far north east of the country, offering waterways and abundant birdlife, this narrow panhandle which juts out east from Namibia was officially renamed the Zambezi Region in 2013 but is also known as the Caprivi Panhandle or the Okavango Strip. It’s a unique area with five protected parks and reserves boasting big game. It feels more like Botswana than Namibia and it certainly takes some getting to. You can do a circular Windhoek to Windhoek self-drive with time in Caprivi, coming back via the Kalahari Desert in Botswana (15 day itinerary) or a one way Windhoek to Livingstone in about the same amount of time. If this is of interest then please give us a call. To see a sample self-drive tour of Namibia including stays in Etosha, on the Skeleton Coast, in the Kalahari Desert, at Sossusvlei and in the Fish River Canyon and to see some of the accommodation we offer please click here. A Family safari one year on. What do the kids remember best? Its nearly a year since our family safari to Kenya. We’ve just loaded a short video I’d made for our friends onto our popular YouTube channel as it gives a read insight into such a holiday. It’s obvious as you watch it that all the children (and adults) were having a great time, something that was evident at the time and upon our return. To watch our family safari video, just click here. A year later what can they remember? It’s a consideration many people have when trying to decide when to take the family on a big holiday. The children have to be old enough to enjoy it, young enough to want to be seen with their parents but old enough that they will remember it for longer than the wheels touching the tarmac back in the UK. We had five kids with us, ranging from 6 to 13. The friends we travelled with were over for a meal last weekend so I took the opportunity to ask them what they remembered as the best bit of the holiday. The two thirteen year-olds thought about it the most, reminiscing about several things. The boy enjoyed the time spend with our guide. He always sat in the front of the safari vehicle with him, asking him lots of questions and enjoying the conversations they had. In fact they are still in contact via the lodge Facebook page so that his knowledge of the African seasons, flora and fauna had continued to grow. I think we have a safari guide in the making. The thirteen year old girl had different memories. She’d loved the tents, most of the soaps and small bottles of shampoo ending up in her luggage. She had loved visiting the Sheldrick elephant or phage, especially when we’d been allowed to walk with the babies as they went out to forage. 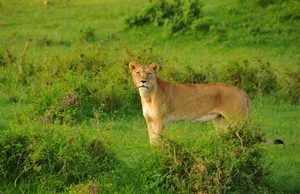 She too had enjoyed the game-viewing, one moment in particular when an old lioness from the Marsh pride had walked past our vehicle, its eyes fixed on her. She remembered how cold and ruthless its eyes were. Next to be asked was the 10 year old girl. She replied immediately. It was the visit to the school. Its a school that Real Africa helps finance and the children spent an hour with some of the pupils doing a reading lesson in the library. One thing had really surprised her; not all children in Africa are starving or ill. These children, while not at all “rich”, were well fed and happy. Brought up on a diet of Comic Relief campaigns and Children in Need appeals (both worthy causes) her mind had assumed that the images they showed were universal. The nine year old boy went for something else, the game-drives. 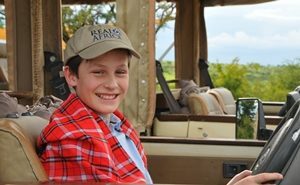 He’d loved seeing the leopard kill – what 9yo boy wouldn’t – but he had loved the experience of driving. In a big 4×4, open sided, sliding in the mud (we went at Easter which is the Kenyan wet season). he vividly remembered an afternoon squall that had blown in one canvas side getting everybody drenched. Last but certainly not least was the 6 year old boy. He informed me that he’d liked the baby zebras and the fact that he could drink as much lemonade as he wanted as it was free. A sensible choice, based on the fact that his father and I both appreciated the fact that the Simba beer was free too… He’d also likes the giraffe centre as their tongues were black. As you can see, they all remember the trip. As we sat around the table lots of memories were talked about and chuckled about. It was a trip they all enjoyed and will continue to do so, I suspect, for many years to come. How old should children be to enjoy a safari holiday? Parents often wonder about the best age to take their children on safari. They want to be old enough to enjoy the experience but young enough not to spend the week plugged into their DS or iPod, displaying teenage indifference. There is no right or wrong answer, as all children are different and will vary in their interests and attention spans. As a general guide however, children will get enjoyment and excitement from their safari if its the right place and done in the right way. My eldest daughter did her first safari aged two, staying at a private reserve in South Africa where young children are allowed. Does she remember anything now a decade later? Of course not. Did she have a good time? Absolutely, her excitement at seeing elephants and giraffe is a happy memory my wife and I will share forever. I really enjoyed my safari trip in South Africa. It was the best trip of my life. The landscape was beautiful and the animals were amazing. I remember clearly the time when we were in our truck and an Elephant came up to us and sniffed my sister’s face. The guide, Derk, was great. He kept her calm for the few seconds it was sniffing and when it had gone away she was fine. I also remember when there was a thunder and lightning storm. The rain was warm but we all sheltered in the living room. As the lightning ran across the sky again I noticed a giant shape out of the window. When there was another flash we all realised that it was only an elephant trying to find food. I don’t know why but we all found this hysterical and burst out laughing, I guess it was because I was so scared. It was around Easter time while we were there and I was disappointed that I was going to miss the Easter bunny (I was only young), so our guide put out some mini packets of chocolate for us in the garden so we could find them. He was good like that. Another time was when he let us toast some marshmallows on are fire. They were delicious. 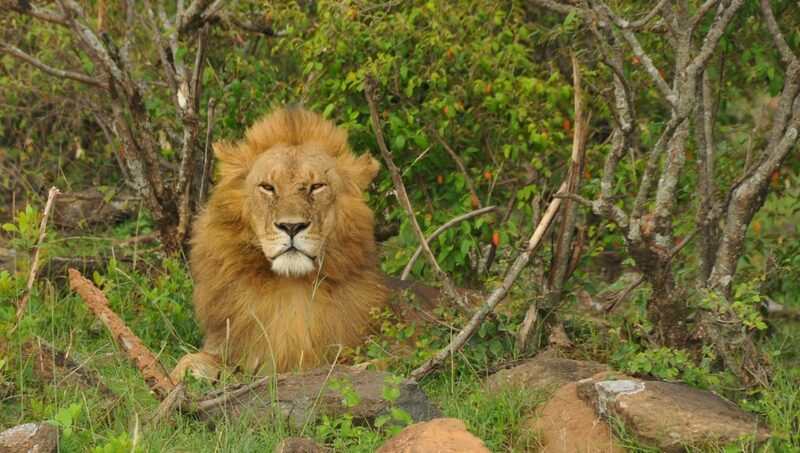 While in the truck on day there was a male lion just lying in the middle of the track, sun bathing I suppose it was. I don’t know how exactly but they did eventually shift him of the track. There was also a small heard of giraffes that for a while followed alongside us. This was my all-time best holiday. I really enjoyed it and hope that I can do it again. I knew she’d remember the chocolate and marshmallows… She also charged me a Magnum ice-cream to write the above for me. We sent a friend on holiday with his 11 year old son last year and it was interesting to talk to him on his return. He was old enough to read up about things before he went. He had spotting lists for the animals and birds which he loved trying to complete. The travelling between parks and on all the game-drives passed without moaning. He loved it when the guide took him tracking and looking at termite mounds. He wants to go back asap… Have a look at the Safari video he made for us when he returned, it shows his excitement and enthusiasm. If your child loves animals, they will love safari. If very young they may not remember it when they’ve grown up, but that doesn’t mean that both they and you don’t love the experience at the time. Its such an exciting activity it leaves strong memories that will stick from a young age (like my six year old) and soon they know more about what to see and where to go that you do. 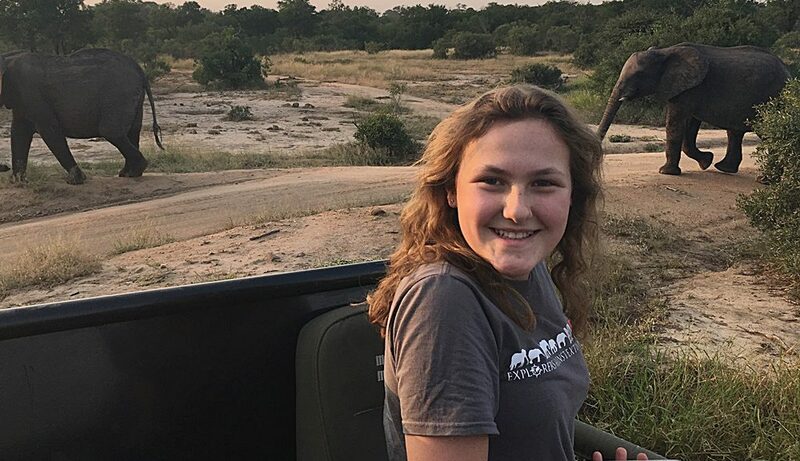 Choose the right trip – with swimming pools, shorter drives and safe camps, and all children will love to search for African animals on a safari. 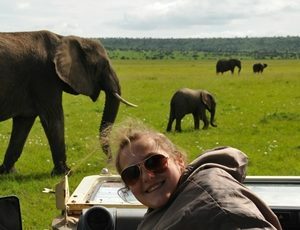 To give you an idea, check out our Kenyan Family safari and take it from there, we’ed be happy to advise.